Aging in place shouldn’t mean you spend less time getting fresh air and sunshine. But the elements can be harsh on us as we grow older and we need more protection from too much sun, cold and wind. Adding a sunroom gives you extra living space, increases the value of your home, and lets you enjoy more of the outdoors, more comfortably. Whether you want year-round, three season, or warm weather enjoyment, sunrooms allow you to create an entirely new room for entertaining, gathering and relaxing in total comfort. All four season sunrooms and patio rooms come with a fifty (50) year manufacturer’s warranty, backed by Craft-Bilt Manufacturing Company, an industry leader since 1946. 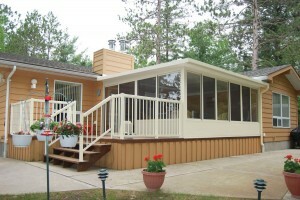 With insulated glass and construction, four season sunrooms offer year–round enjoyment. Not only will you add space to your home at a fraction of the cost of standard construction, but you will add the year-round beauty and light of the great outdoors. A four season sunroom is a fully insulated sunroom with no visible fasteners, with the beautiful look and feel of lustrous vinyl in architectural white or desert sand to blend with your home. Enclose an under-existing roof and turn open space into cozy year round enclosed porch. 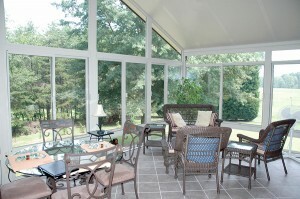 Betterliving sunrooms windows and doors can be custom manufactured to fit under your existing porch roof or patio cover. The most popular patio enclosure, the three season sunroom is an easy, affordable way to extend your outdoor living season. Add living space at a fraction of the cost of conventional construction, and have a place where everyone wants to be. For outdoor entertaining without rain, chilly winds, flies and mosquitoes, a three season sunroom is the perfect solution. If sunroom cost is an important consideration, a three–season studio style is the perfect sunroom design. It’s a great idea for any deck or patio! A gable style roof will provide more height and light. The A–Frame construction allows for a ceiling fan and custom gable glass for additional sunlight. A sound investment that adds value to your home, a screen room brings back the great feeling of being outdoors. 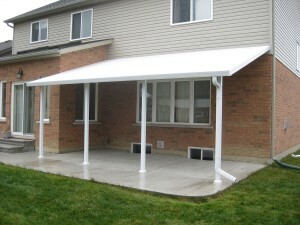 An affordable and attractive way to keep the sun, rain and insects out of your outdoor living space, screen rooms and patio covers can be designed with a roof style that complements your home. Enclose your open porch with screens and keep the bugs away. Add a screen room now and upgrade to a sunroom with sliding glass windows and doors when your budget permits. 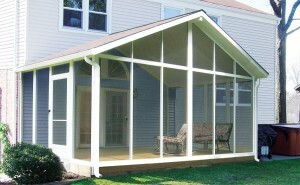 A sunroom can be done in stages, starting with a covered patio that can be later converted into a sunroom.